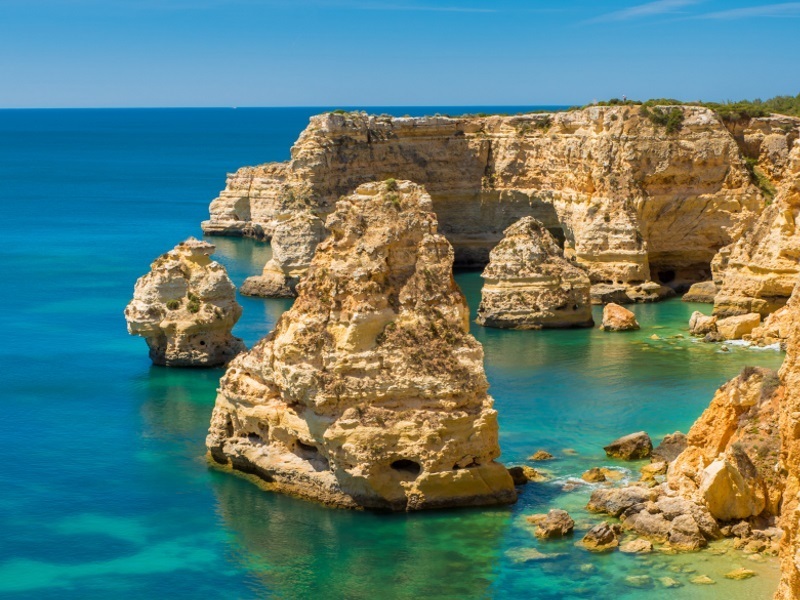 Located in the lively resort of Albufeira and close to its superb beaches, this hotel is in a great position for those who are looking to relax and enjoy the sun, as well as explore the many shops and entertainment venues. In warm weather, guests may choose to take advantage of a cool swim in the hotel’s impressive outdoor swimming pool. If the sun is too much or the weather is a little cooler, the heated indoor pool provides an ideal alternative. With an enviable location opposite the wide, sandy Praia da Rocha beach, Hotel Santa Catarina offers its guests a warm welcome and attentive service. All of the resort’s amenities on its doorstep, including the Algarve Casino and an array of bars, cafes and restaurants. Portimão’s colourful marina is just 600 metres away and there is a regular bus service to the town centre, known for its great shopping. With its functional, well equipped rooms, continental buffet breakfasts and simple, local-style evening meals, Hotel Santa Catarina provides an ideal base for sightseeing and relaxing in the Algarve.